Irving Signs & Wraps is a trusted manufacturer and provider of high-quality sandblasted signs. We clearly see how a single sign can say so much about your business, so we strive every day to produce sandblasted signs that convey your message and the quality of service you can offer. Irving Signs & Wraps offers beautifully crafted sandblasted signs made of premium lumber; the most popular being redwood and cedar. 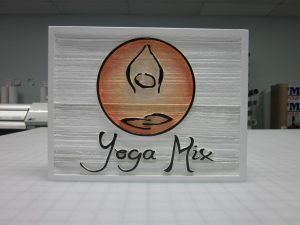 Though wood is the costlier type of sandblasted sign, we believe that its vintage yet timeless appeal helps give passersby and potential customers the impression that your business is established and firm and reliable. Using state-of-the-art sandblasting equipment and proven blasting techniques, Irving Signs & Wraps carefully reveals the wood’s natural patterns. A sandblasted monument sign with this type of detail exudes strength and resilience, extending an aura of permanence to your brand identity. Because natural products and subject to decay and insect damage, Irving Signs & Wraps ensures that only the best types of wood are used. We see to it that our wooden signs are weatherproof by having them go through stringent sanding, treatment, sealing, and coating processes. Irving Signs & Wraps sources only the highest quality of HDU foam to make sure that your sandblasted sign leave the best impression for a long time. 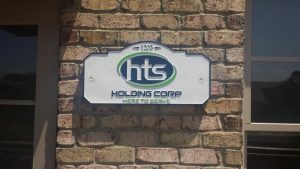 Our HDU signs have beautifully textured surfaces and are the ideal choice for those of you who prefer to have signs with a sandstone-like appearance. We also have the option to have them primed and treated to achieve a smoother look. Irving Signs & Wraps doesn’t just make sandblasted signs, we go through the entire sign-making process with our clients, this way we make sure that they are happy with the output that they get. Do you already have a design that you want sandblasted on a sign? That’s great. 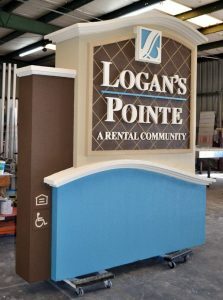 Our team of signage specialists can create customized signs of all shapes and sizes. And if you don’t have a design yet, that’s not a problem either. Irving Signs & Wraps has a team of talented artists who can help come up with sign designs that best suit your brand, your services, your target market, and of course your budget. From design, to treatment, to production, to installation, and even until maintenance, Irving Signs & Wraps takes care of its clients. Our business is dedicated to helping your business, and we can’t wait to provide you with the best sign service yet. Irving Signs & Wraps is very convinced that sandblasted signs are a great investment. If you’re curious about why that is and how that works, we’d love to share our knowledge on the subject with you. 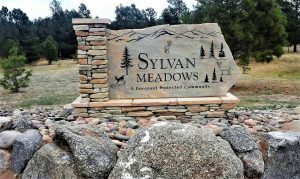 We’d be more than happy to have one of our most trusted signage specialists sit down with you so you can have a conversation about how sandblasted signs can do wonders for your business. Call Irving Signs & Wraps today at (972) 325-0922 for your Free Consultation with a Sandblasted Signs Expert!